El Dorado Hills lies only 13 miles from Coloma, the site where gold was first discovered in 1848, which started the Gold Rush. Before that, the area was mostly worked by farmers and ranchers. But with the Gold Rush boom, Two Pony Express routes were opened in 1860, still existing today as modern roads. El Dorado Hills is an unincorporated census-designated place, only 22 miles east of Sacramento, California and commonly affiliated with the Sacramento Metropolitan Area. It encompasses 48 square miles and sits in El Dorado County. The population of EDH is now around 43,760, which is up precipitously from the 18,016 population mark recorded during the 2000 census. El Dorado Hills enjoys a median household income over $115,00, which is the 3rd for highest for any place in the U.S. with population greater than 40,000, behind only Potomac, Maryland and Danville, California. El Dorado Hills, like most of the Sacramento-Metropolitan Area has a hot Mediterranean climate. El Dorado Hills boasts a comfortable spring and fall averaging 70 degrees. Summers feature a dry heat with the average high temperature in July around 95 degrees but with cooler nights averaging 61 degrees. The mild winters average a low of 39 degrees and a high of 54 in January. The city averages about 24 inches of rainfall a year. Starting in the 1990’s, the business climate boomed in El Dorado Hills, as companies relocated from Silicon Valley up to El Dorado Hills Business Park to escape the exorbitant labor and land costs of labor brought on by the Dot Com tech bust. EDH now enjoys a diverse and well-paying range of employers, with 74% of the workforce employed in white-collar jobs, well above the national average. Golf enthusiasts can play a few rounds among the scenic beauty of Serrano Country Club or the El Dorado Hills Golf Club. Wine connoisseurs can sample some of the best from the foothills with over 70 local wineries, vineyards and tasting rooms. For those who love the outdoors, EDH is a dream playground, with all the Sierra Nevada mountains have to offer: hiking, camping, fishing, boating, gold panning, golfing, snow sports, rafting, and horseback riding. For history buffs, El Dorado Hills offers plenty of State Historical Landmarks, Points of Historical Interest, and California Register of Historical Places. 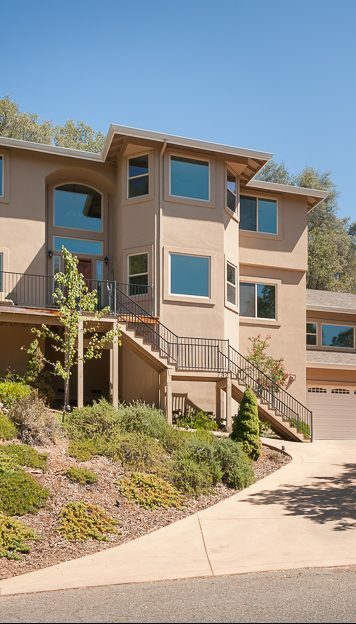 El Dorado Hills real estate is highly sought after, with homes selling quickly and drawing a lot of interest from eager buyers who want to become part of that community. There are plenty of luxury and high-end communities and neighborhoods in El Dorado Hills, considered the crème de la crème for house hunters and the highest value real estate in the area, like Serrano Golf and Country Club, The Summit, Watermark, Marina Hills and Highland Hills. The educational system in El Dorado Hills is considered exemplary, with a 9 out of 10 ranking by Great Schools City Ratings. In fact, Jackson Elementary. Oak Meadow Elementary, Silva Valley Elementary, William Brooks Elementary, Oak Ridge High, and Marina Village Middle in El Dorado Hills all receive ratings of 10 out of 10. Modern-day El Dorado Hills (EDH) was first established in the 1960s, when developer Alan Lindsey and architect Victor Gruen broke ground. In 1995, the elegant master planned community of Serrano was conceived when the Parker Development Company acquired 3,500 acres along the eastern edge of El Dorado Hills. After 2000, population growth and commercial development exploded in El Dorado Hills, leading to the Town Center Zone and thriving downtown business district. The new Town Center includes an impressive 100-acres of land and 1,000,000 square feet of buildings, filled with local and national retailers, professional and medical offices, fitness clubs, hotels, cinemas, restaurants, markets, spas, and public amphitheater next to regal fountains and public plazas. 2016- WalletHub named El Dorado in the top 10 cities to raise a family in California (out of 240 cities examined!). 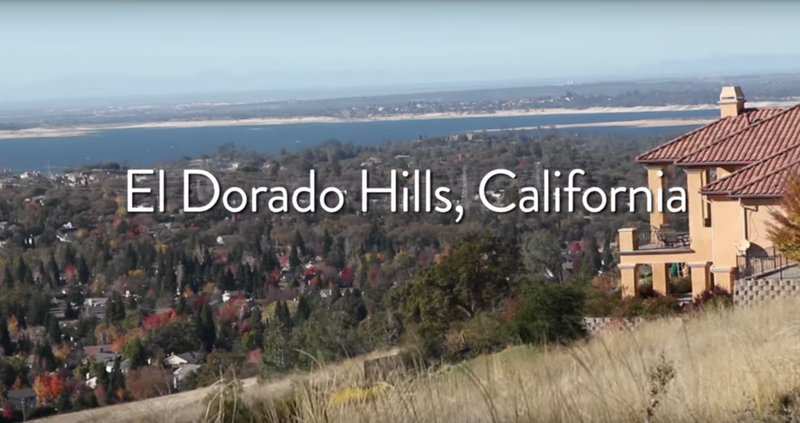 2015- El Dorado Hills was named one of the best California cities to lay down roots by WalletHub. CNN Money ranked El Dorado Hills 77th in the country for best places to live in 2007.